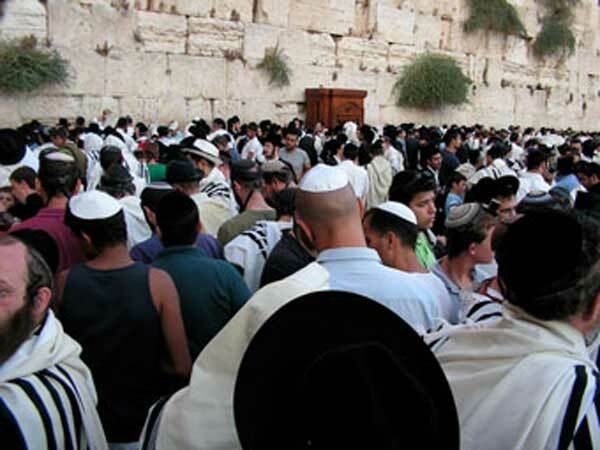 Jews praying at the Western wall in Jerusalem. Tisha B'Av for the year 2019 is celebrated/ observed on sundown of Saturday, August 10th ending at sundown on Sunday, August 11. Sunday, August 11th is the 222 day of the 2019 calendar year with 3 months, 19 days until Tisha B'Av 2019. When is Tisha B'Av 2019? When is Tisha B'Av 2020? When is Tisha B'Av 2021? When is Tisha B'Av 2022?